I love springtime. It's the season of my birthday, my daughter's birthday, and ok, warmer weather too! I also look forward to all the fresh new shades of makeup I get to enjoy and let's face it, new releases from our favorite companies don't hurt! 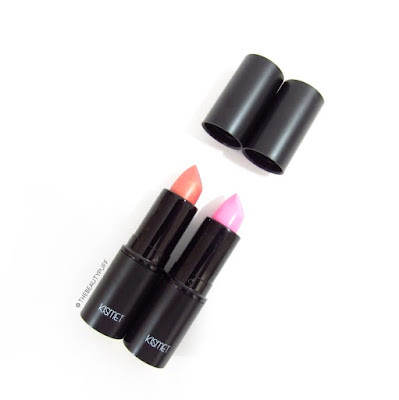 Kismet Cosmetics has generously offered an exclusive pre-sale link just for my readers to get first dibs on their NEW spring lipsticks! Talk about a treat. If you're looking for that new lipstick to freshen your look for spring, you've come to the right place. Peach and pink - two shades I have been craving because they just scream spring to me! They instantly lighten your look and compliment a wide variety of colors in your wardrobe. Kismet's Just Peachy is a versatile peach with just a bit of sheen. I can't think of any of my spring palettes that won't go beautifully with this shade. I love the finish of this lipstick too. It gives a very natural, polished look without looking overdone. 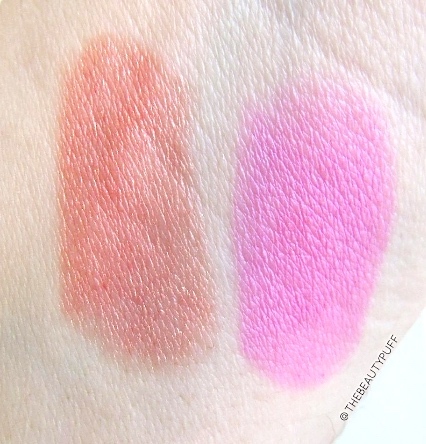 I'm so excited to make this my new go-to lipstick for spring. It's one of those "throw it on with anything" shades that I live for. If you're craving that iconic light pink lip, look no further. Kismet's Kitten will be your new stand-out shade - a light powder pink inspired by the 1950s. This is my version of a bold lip for the warmer months. I would pair this with a light shimmery shadow, liner and my Kismet Lovely Illuminator in Rosy so it could be the star of the show. I look forward to light, luminescent looks in spring and this lipstick will pair perfectly with all my favorite spring products! As you can see from the swatch, Just Peachy has the slightest sheen, which gives it a beautiful hue when the light hits it. It really shows when you apply a light layer of this shade in particular. Kitten is incredibly pigmented but can be really versatile if you top it with a gloss. I'm learning to branch out with my lipsticks and this was a great shade to get me out of my comfort zone! 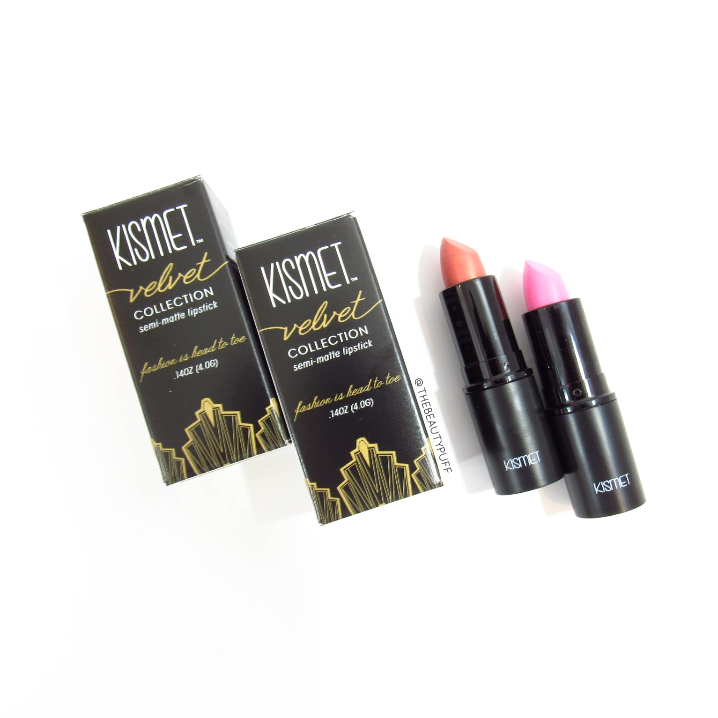 Kismet Cosmetics lipsticks are smooth, lightweight, and buildable on the lips so you can achieve your ideal look. Not sure what shade suits you? Post a selfie on Instagram and #MyKismetColor for a personal recommendation! Click here to get exclusive, early access to these must-have shades for spring!